Evonik Animal Nutrition held yesterday a seminar to promote Ecobiol® product range in Hurghda, Egypt in coordination with key local distributor, Egyptian Trading & Supplies (ETS). Ecobiol®, a feed additive consisting of beneficial bacteria, improves the health of the animal and helps producers solve quality, profitability and sustainability challenges. Not only does supplementing with Ecobiol® support microbial balance in the gut, Ecobiol also survives feed manufacturing processes and improves feed conversion. “In addition to introducing Ecobiol® to the local market, this event is the first one that Evonik Egypt conducts with the recently appointed distributor ETS. 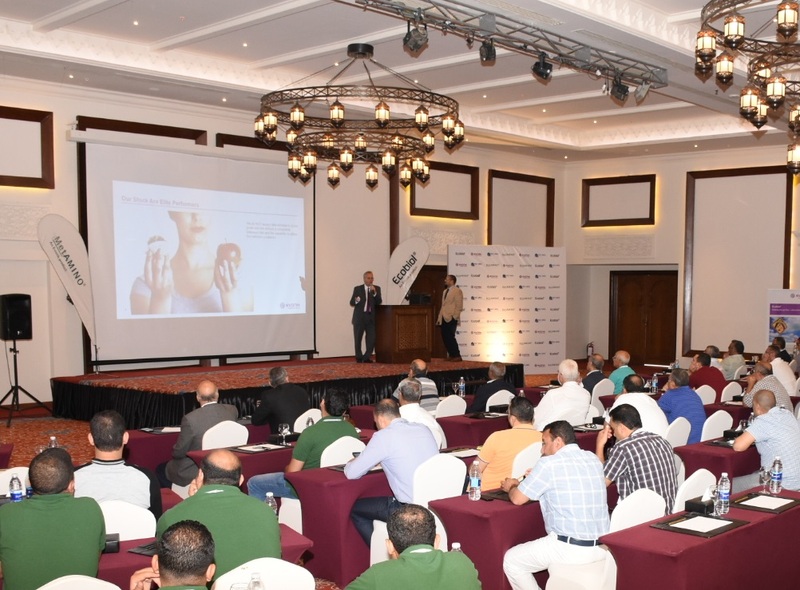 In this seminar, we hosted our distributor’s technical team and the end customers to introduce new solutions from Evonik Animal Nutrition” said Ahmed Khater, Technical Service Manager for Egypt & GCC. Evonik offers partners unique products and services with great emphasis on technical support that the company tailors to individual customer needs. Local technical support that brings the company’s decades of know-how to the doorsteps of clients is at the heart of Evonik’s strategy. “With such events, we try to bring the technology closer to our partners, listen to their problems, and find with them the best solutions” Khater added. The Ecobiol® promotion seminar featured key important topics for the local animal nutrition market presented by technical experts from Evonik and from the industry. Topics of the event included gut health management in poultry, Evonik solutions for efficient feed production, and fundamentals of feed milling technology.